From Canada to Hong Kong. Travel, Hike, Camp. 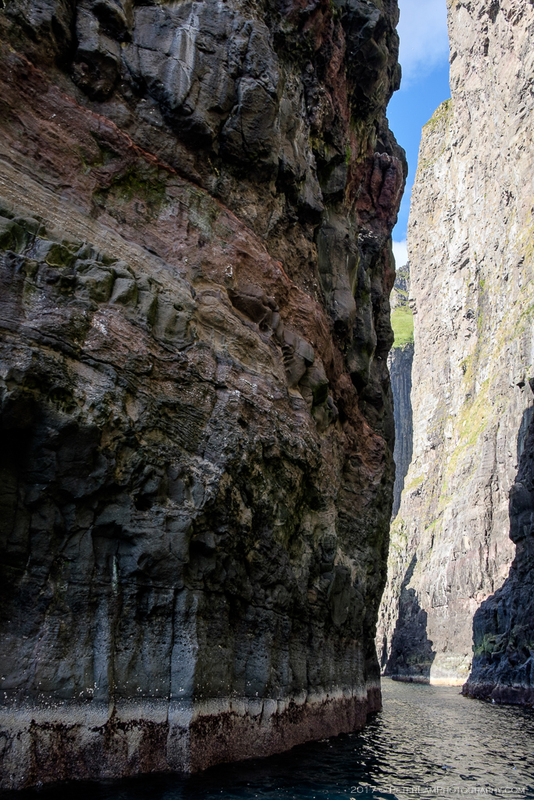 Shifting our accommodations from Klaksvík to Sandavágur, located on the south coast of Vágar island, we would spend the rest of the trip exploring the westerly side of the country. 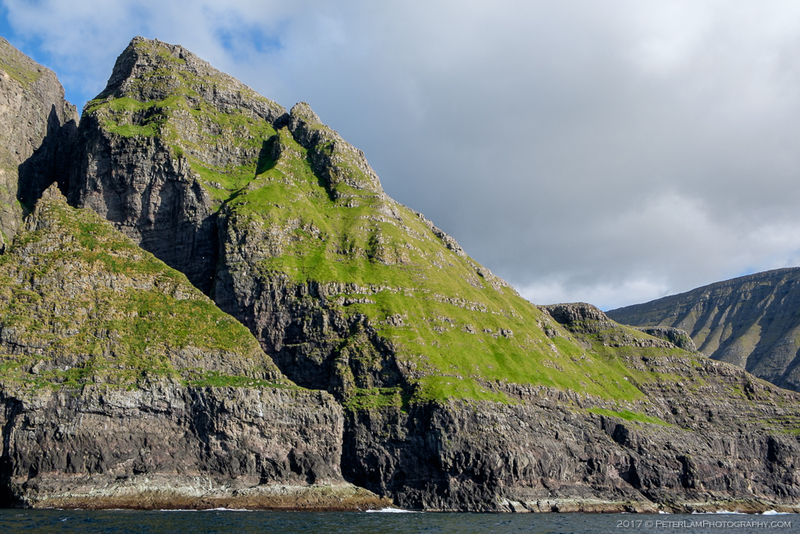 Day 5 of our Faroe Islands trip, and it was time to rest our weary hiking legs. 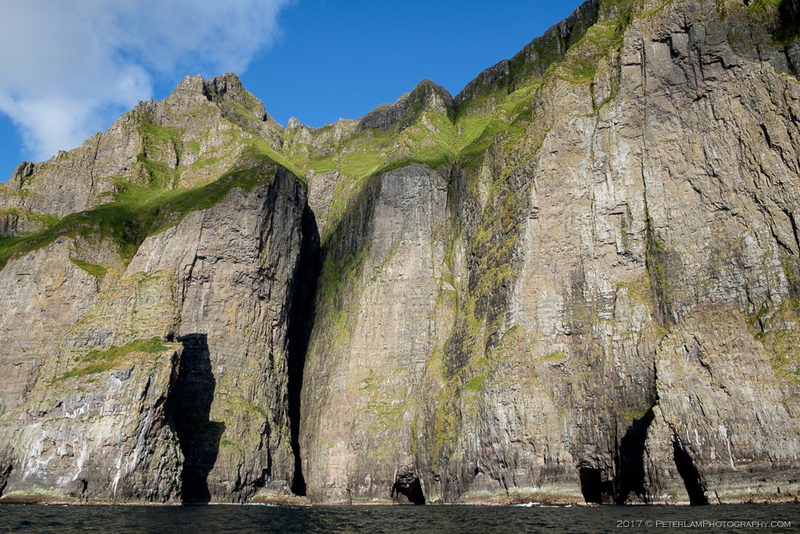 Our day is spent on Streymoy, the largest island of the Faroes. 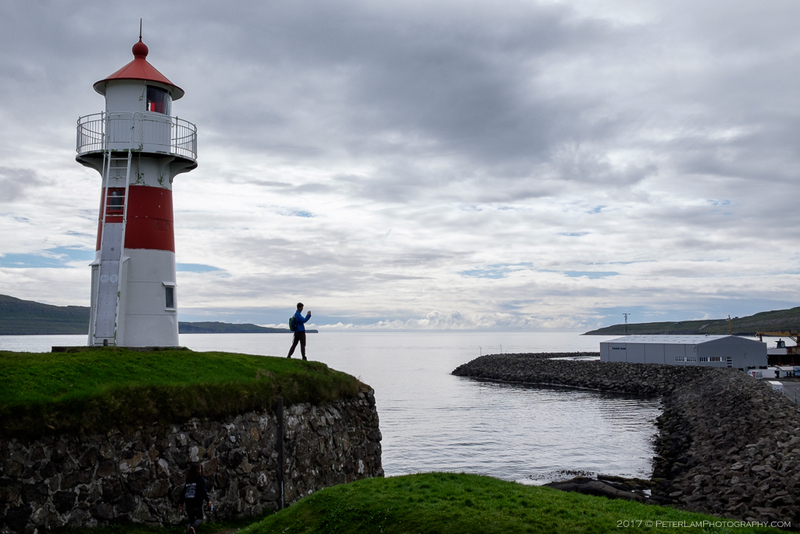 First a visit to the capital Tórshavn, followed by a trip to the southernmost settlement of Kirkjubøur; and finishing with a boat tour of the birdcliffs near Vestmanna town. 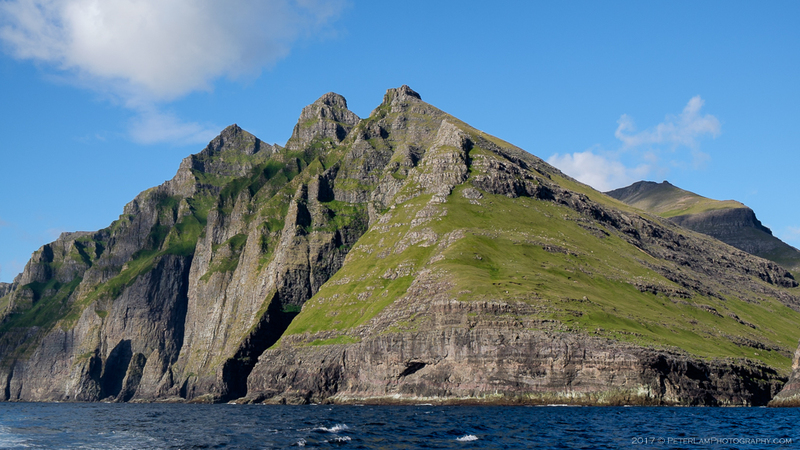 Mjørkadalur valley on Streymoy island with a former military installation, now a detention centre. 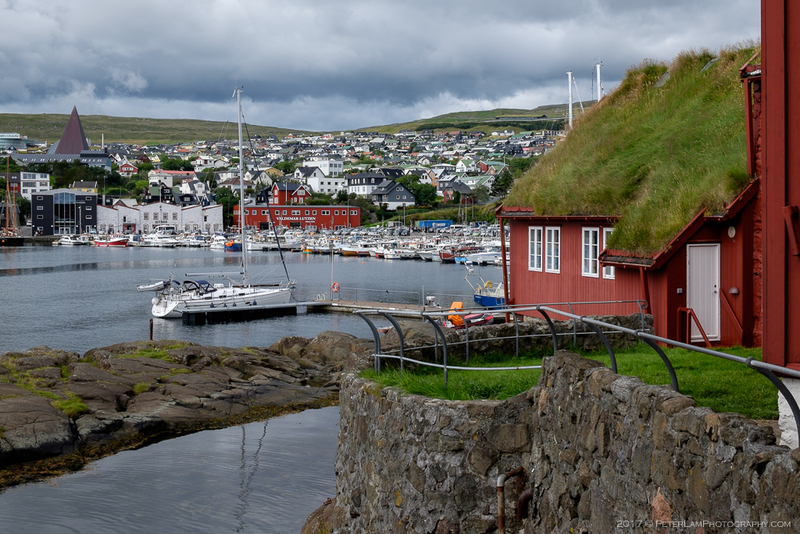 Calling itself the “Smallest Capital of the World”, Tórshavn has just over 13,000 residents (19,000 in the greater urban area – that’s 95% of the entire population!) 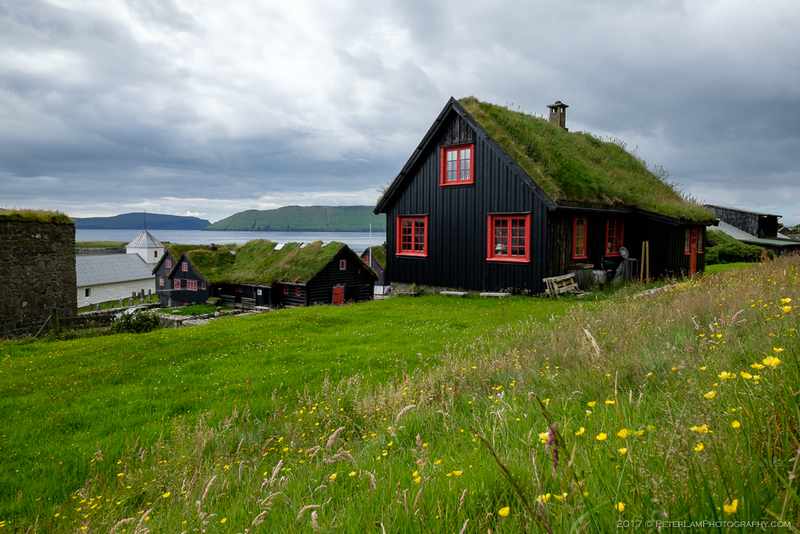 and is the largest town of the Faroe Islands. 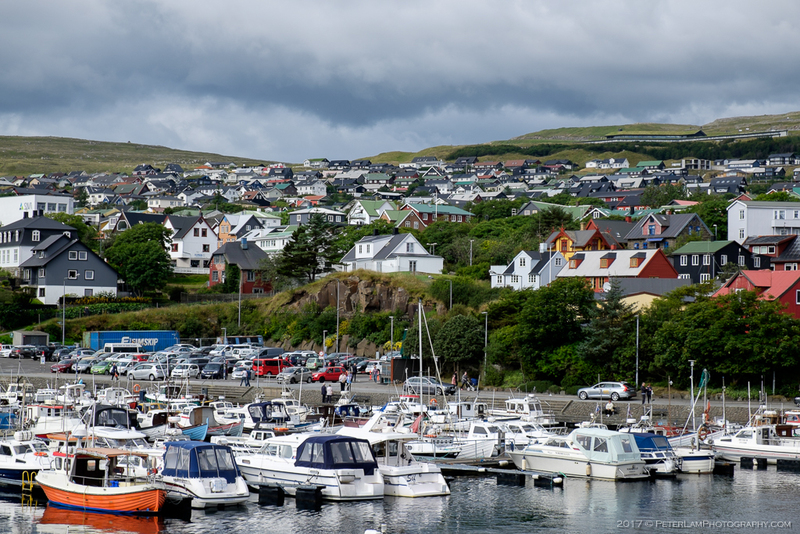 Compared to the country’s small villages, there is almost a cosmopolitan feel here (today also helped by the large influx of tourists that came with the Queen Elizabeth cruise ship that was docked in the harbour). 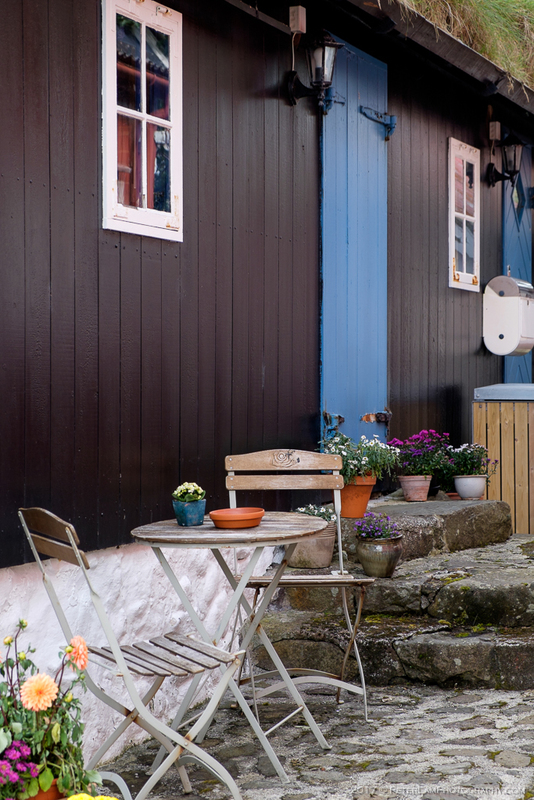 Still, the historic district retains its small town charm with colourful buildings and intimate alleyways. 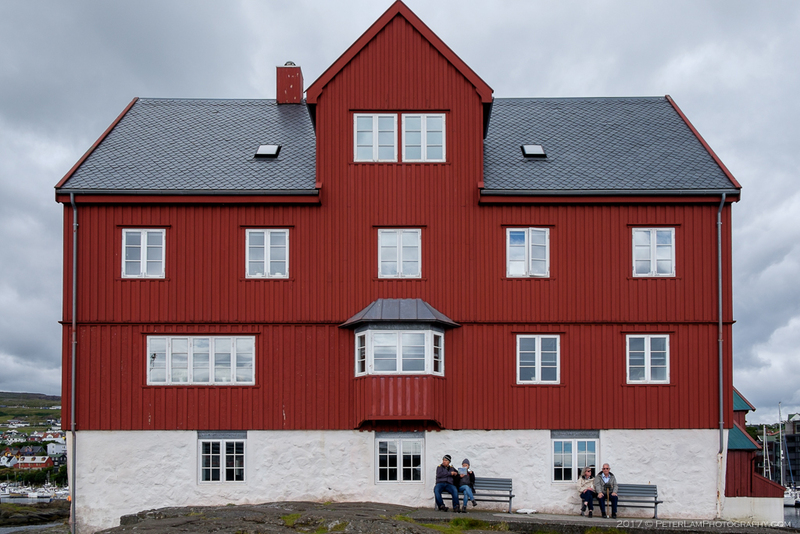 The historic fortress at Skansin, parliament buildings of Tinganes, and the cultural hotspot at Nordic House are also popular attractions. Lighthouse at historic Skansin fortress. Skansin fortress was initially built for protection against pirate raids. 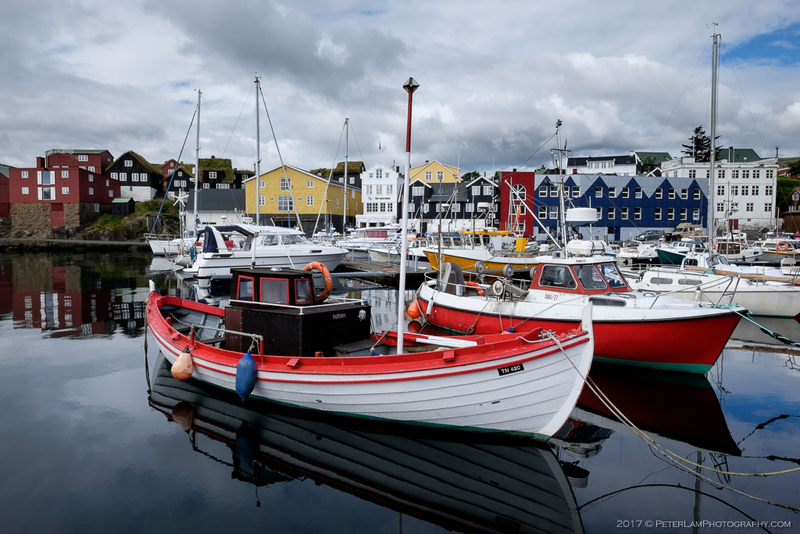 Fishing boats moored at Tórshavn harbour. 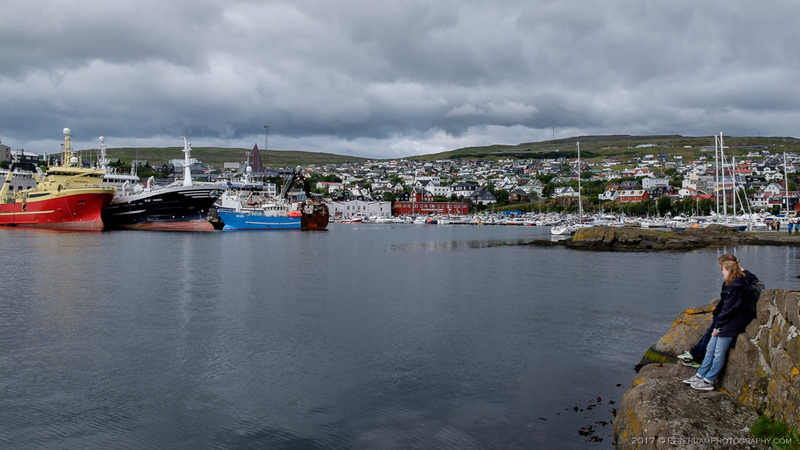 Vesteravág, the western side of Tórshavn harbour. Quaint buildings in the Old Town. Here culture and tradition is part of life, rather than just a tourist attraction. 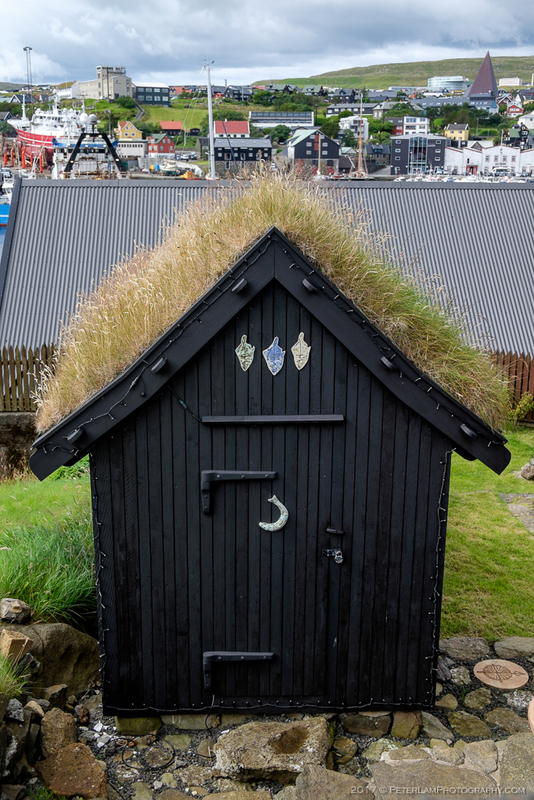 Traditional shed, maybe for air-dried fermented fish (ræstur fiskur), a Faroese specialty. 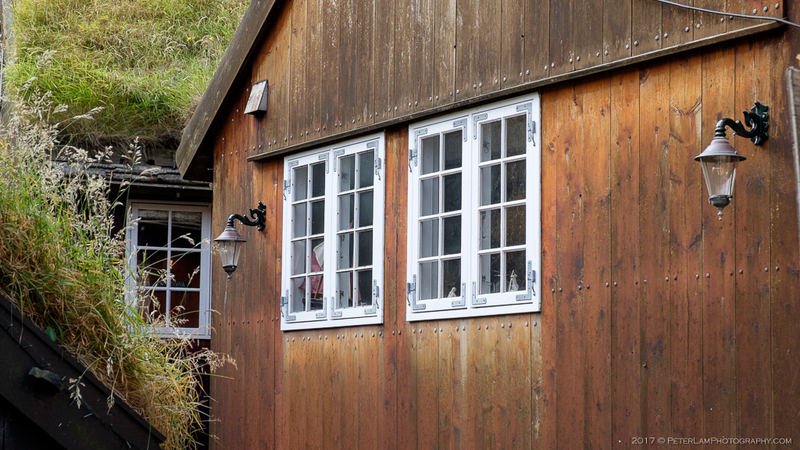 A rare sight – an unpainted wood building. 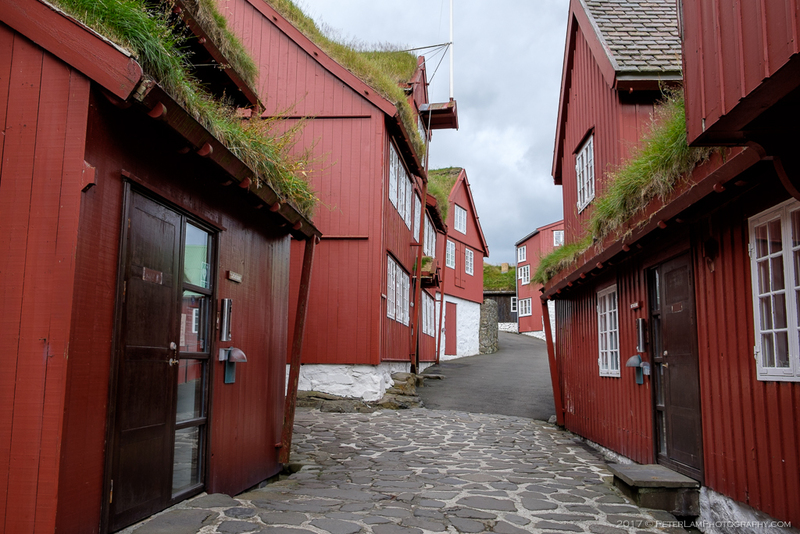 Alley in Tinganes, the historic location of the Faroese government. 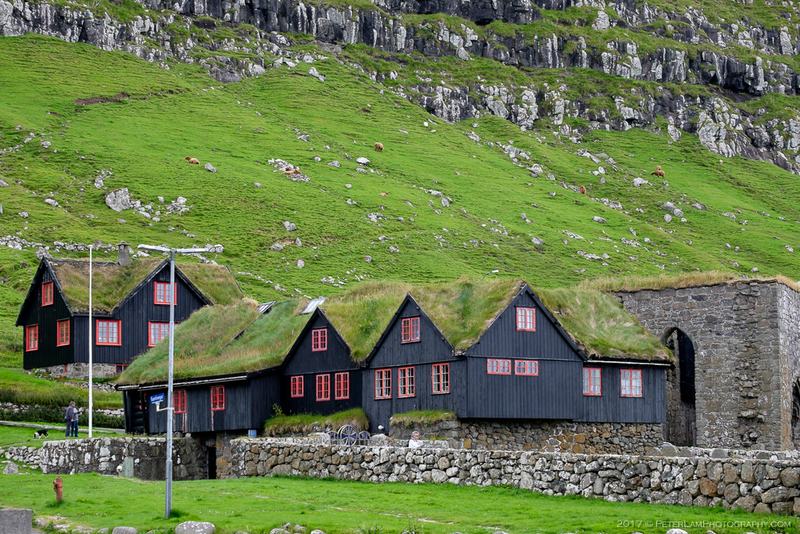 This building, Skansapakkhusið, is the seat of the Faroese government. 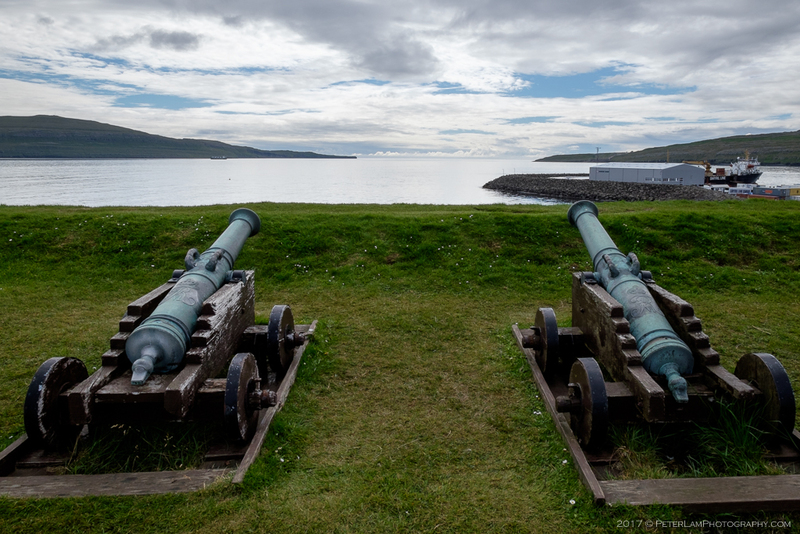 Tinganes is one of the oldest parliamentary meeting places in the world. 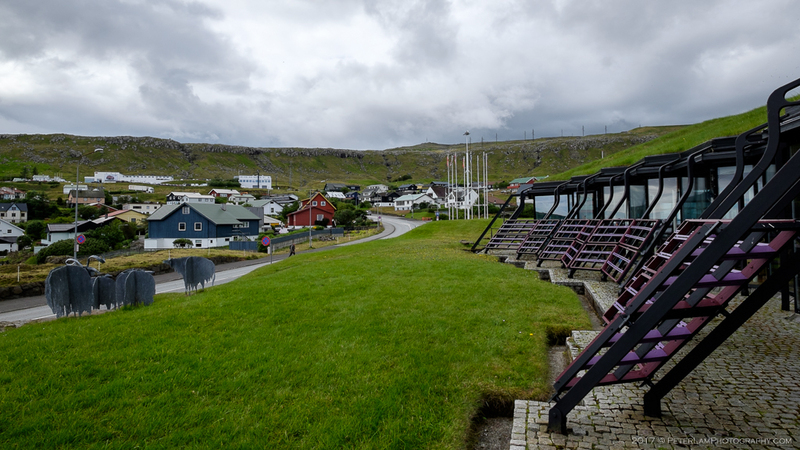 Húsareyn mountain overlooking the town, and Nordic House at near the top. 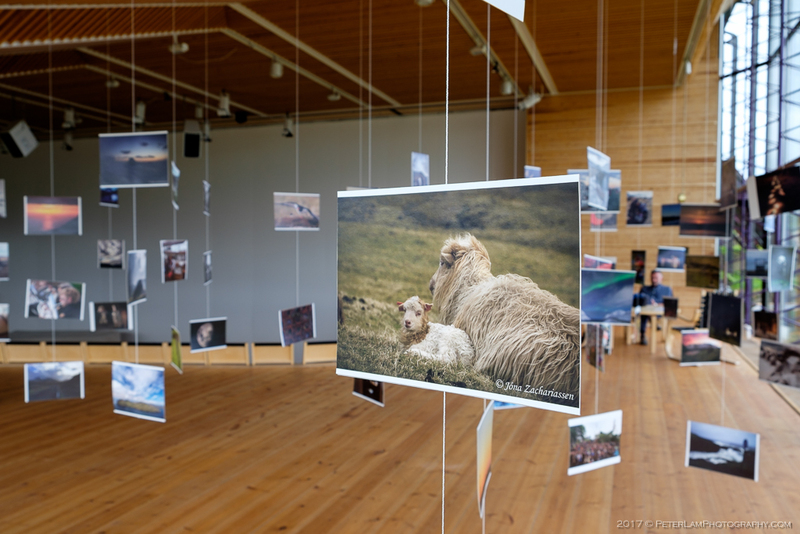 An exhibition inside the Nordic House. 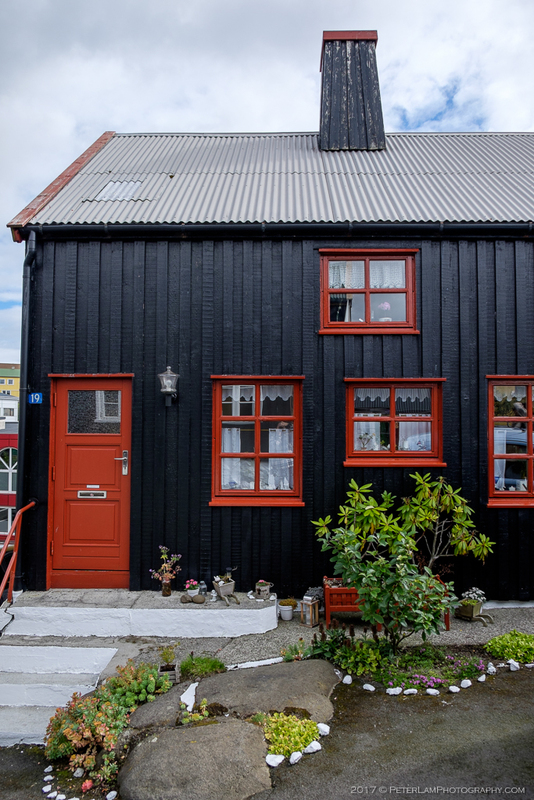 The Nordic House was built to support and promote Faroese and Nordic culture. 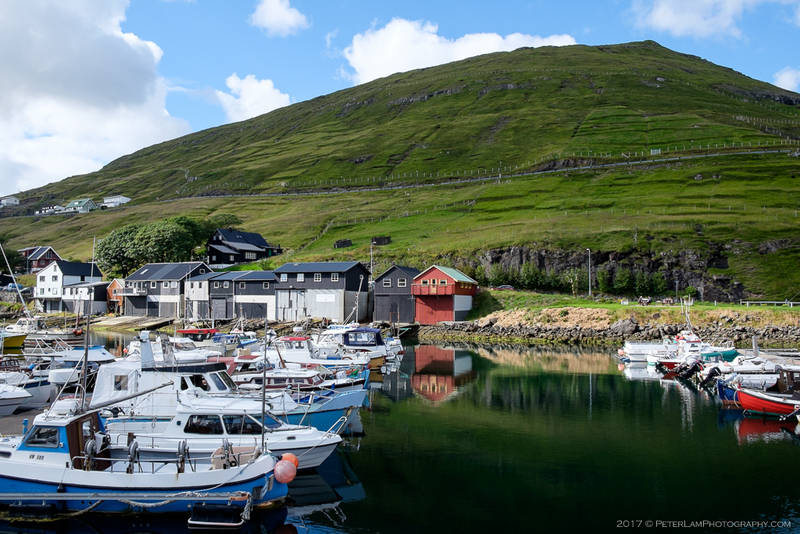 The village of Kirkjubøur is the southernmost settlement on the island of Streymoy. 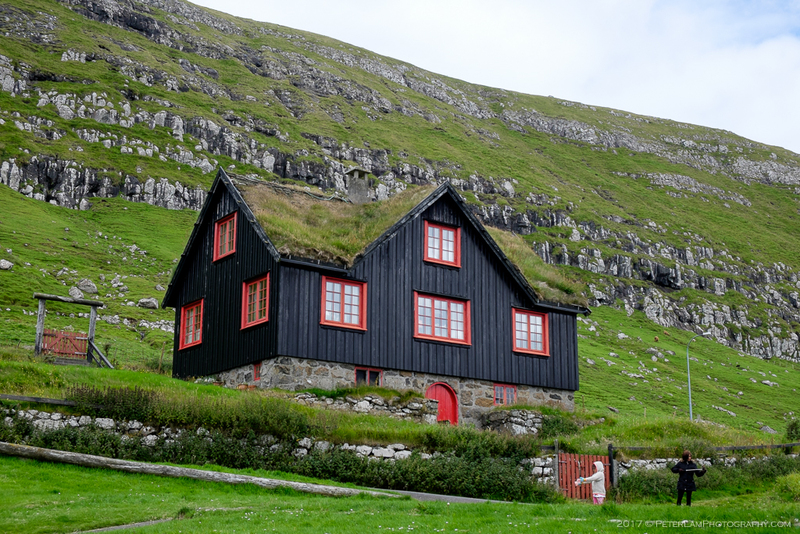 Only a ten minute drive from Tórshavn, this is the most important historical site of the Faroe Islands. 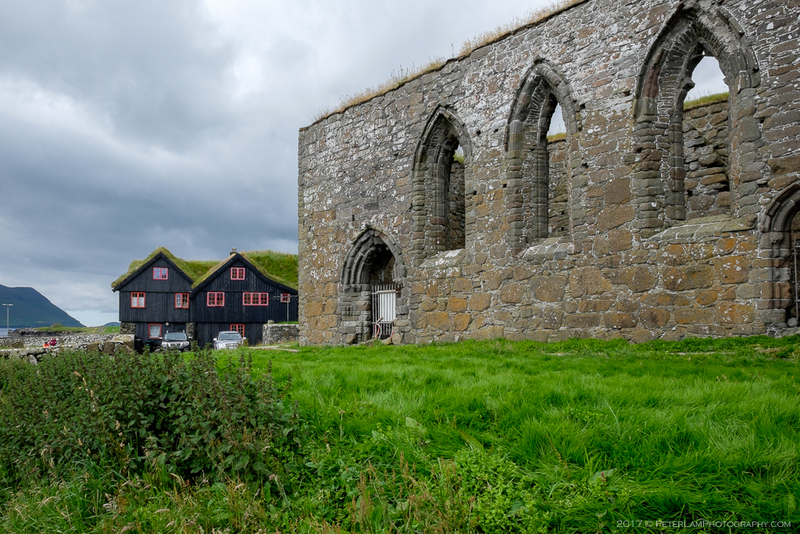 Here you will find the ruins of the Magnus Cathedral, dating from the 1300s; St. Olav’s Church, the oldest church still in use in the Faroes today, from the 12th century; and Kirkjubøargarður, a farmhouse and possibly the oldest still-inhabited wooden building in the world, dating from the 11th century. 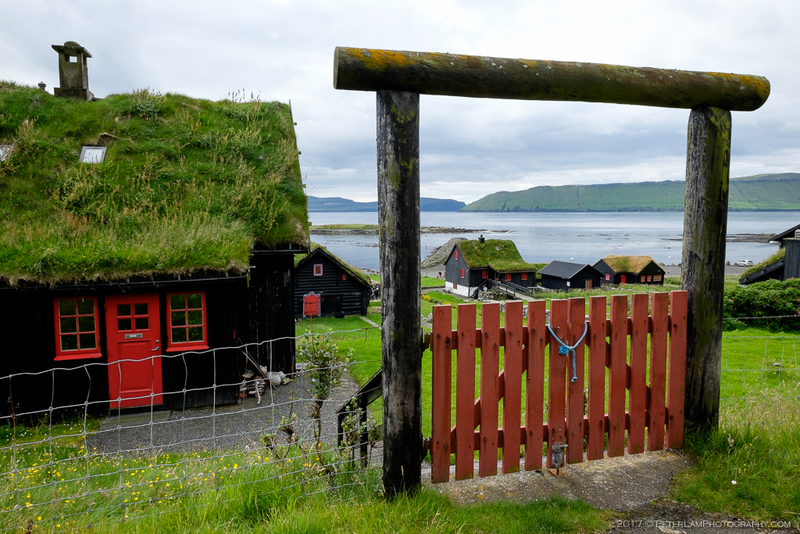 During the Middle Ages the village served as the spiritual centre of Faroe society, being the seat of the church. 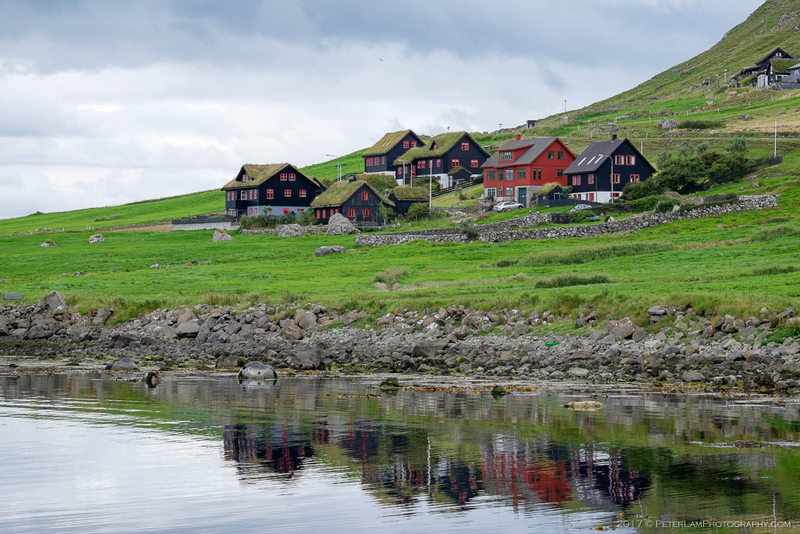 Houses on Í Lágabø in Kirkjubøur. 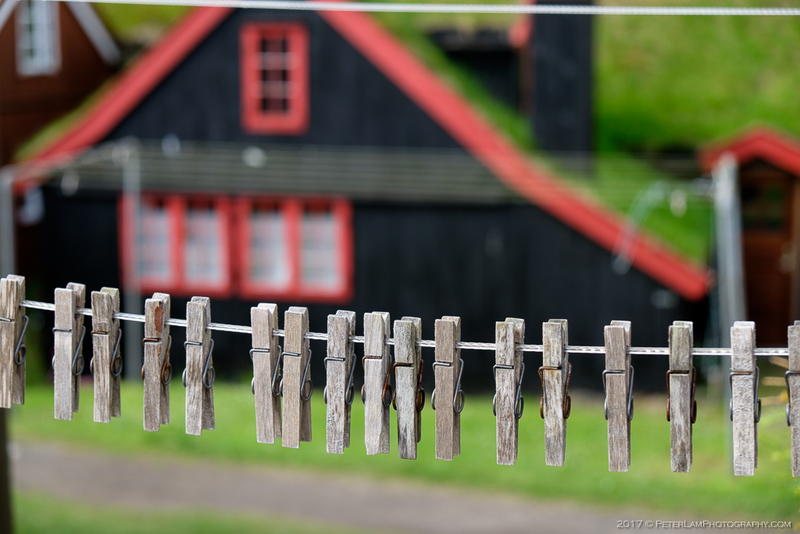 The Kirkjubøargarður farm house, the oldest still-inhabited wooden building in the world. 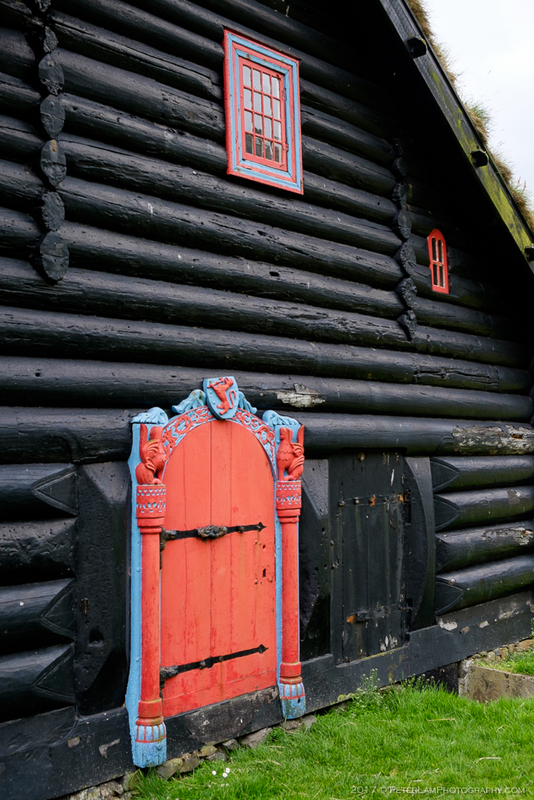 Kirkjubøargarður is also known as King’s Farm, and is now also a museum. Gate at the back of the property. Hestur and Sandoy islands across the waters. Entrance to the Roykstovan (“Smoke House”) building, now the farm library. 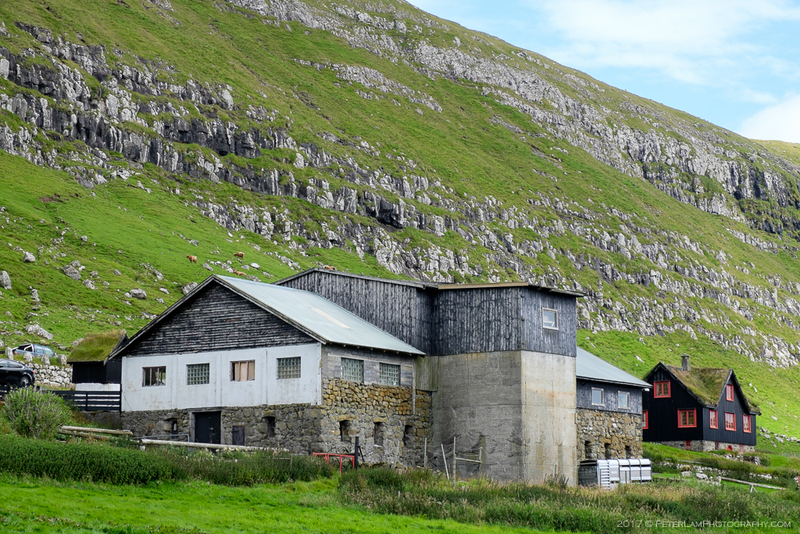 The farm has always been the largest in the Faroe Islands, the land now owned by the government. The remains of the Magnus Cathedral. 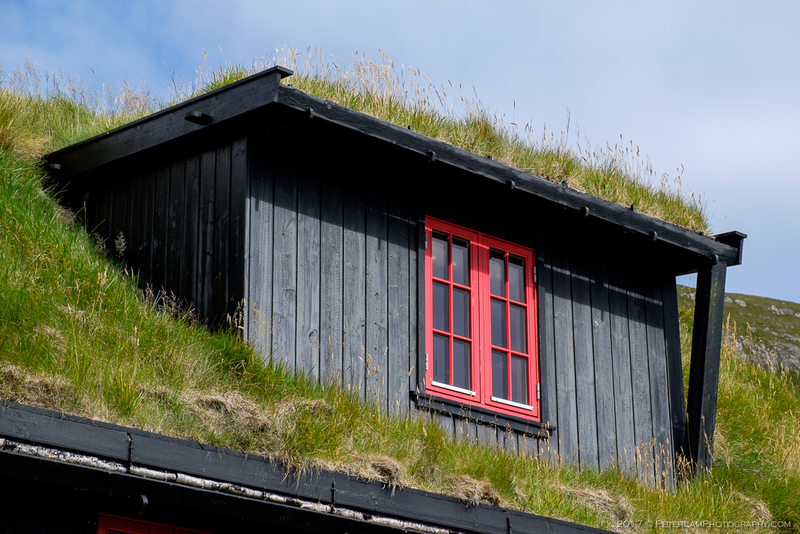 Typical turf roofing of traditional buildings. 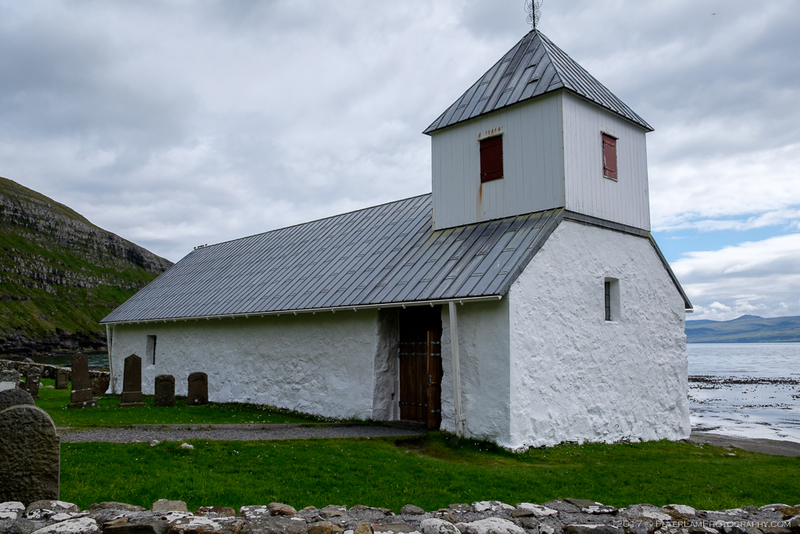 St. Olav’s Church, the oldest still used today. 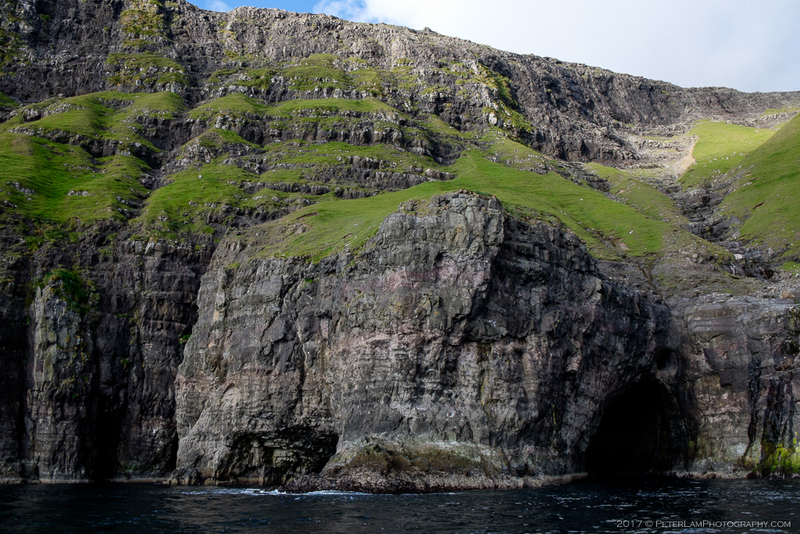 One of the most popular attractions on the Faroe Islands is a boat tour of the birdcliffs near Vestmanna town, on the west coast of Streymoy. 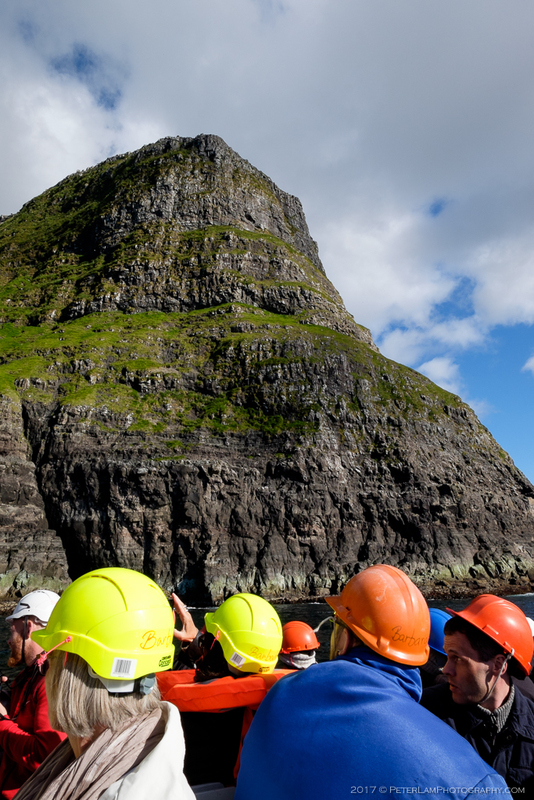 Here expert guides will get you up close and personal with 2000-feet vertical cliffs and narrow sounds, sailing into giant grottoes while on the lookout for nesting and migrating birdlife. 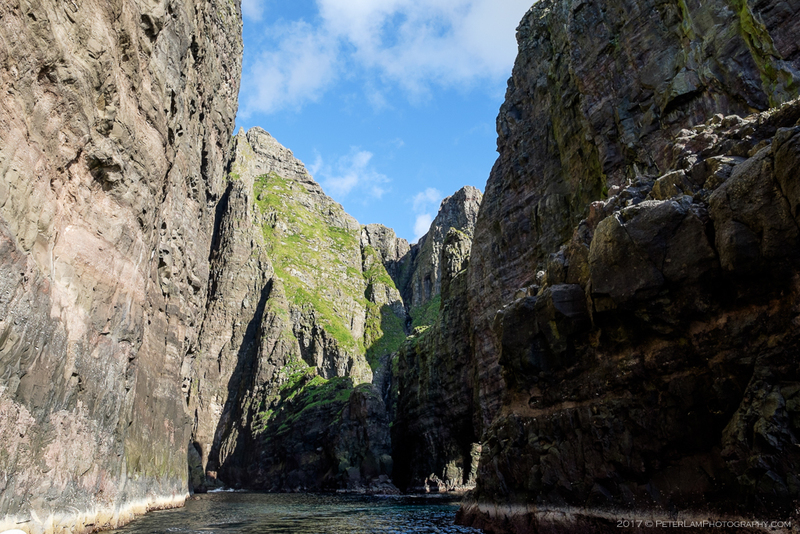 Well, we didn’t see much of birds, but the steadily improving weather meant spectacular views of the raw Vestmannabjørgini cliffs – against this rugged and untamed landscape, it’s a humbling experience indeed. 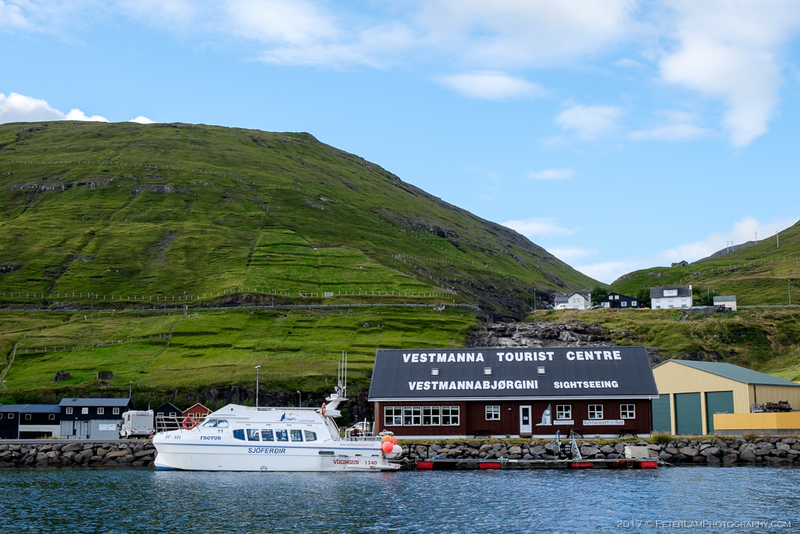 Our starting point is the tourist centre in Vestmanna. 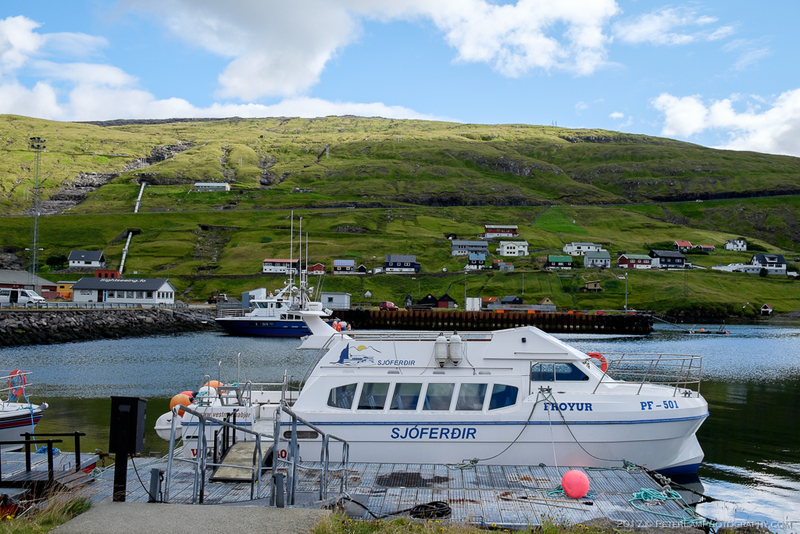 One of the Vestmannabjørgini tour boats. 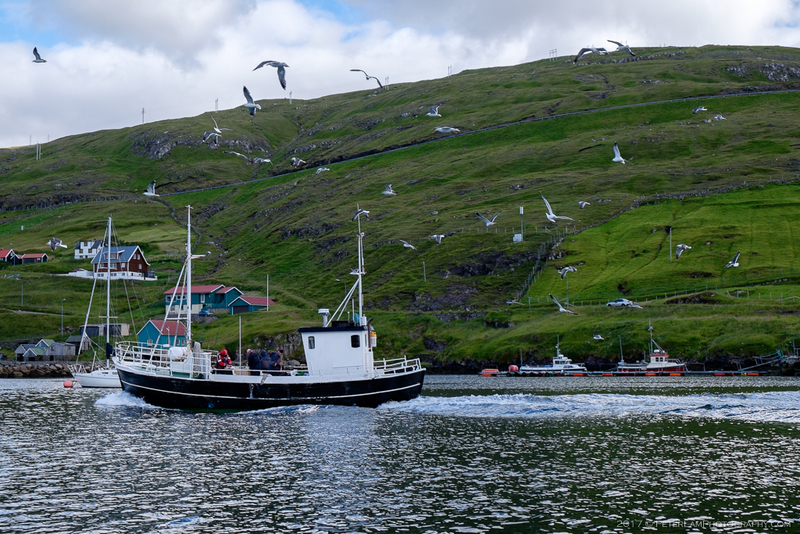 A fishing boat returning to dock. The excursion is on. Oooh! 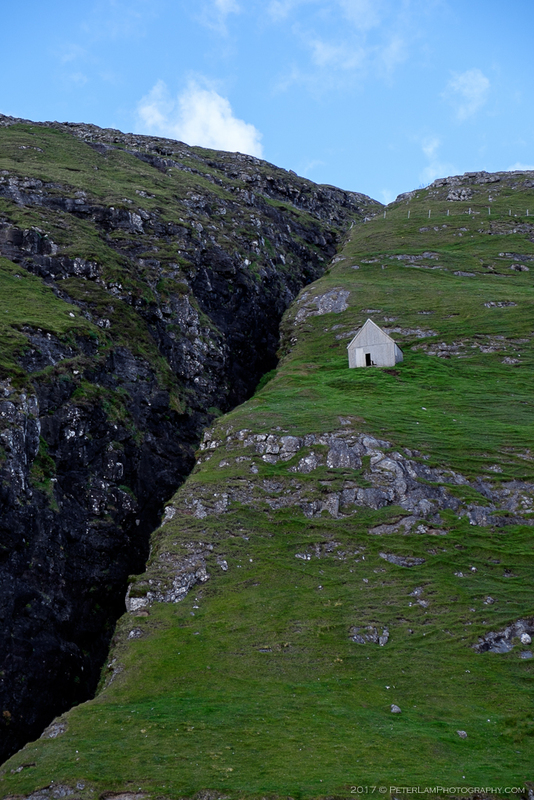 Sheep shelter on the steep slopes. 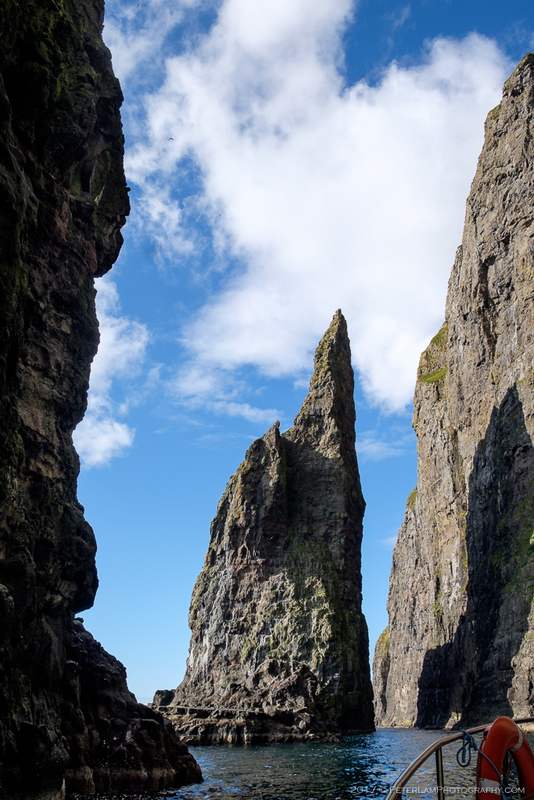 …like around this giant sea stack. 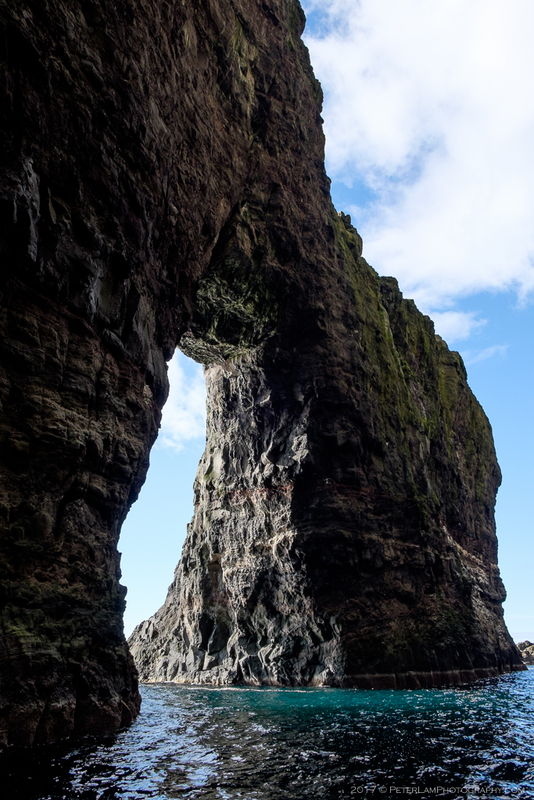 Going through one of many arches. Looks like a scene out of Middle Earth, doesn’t it? 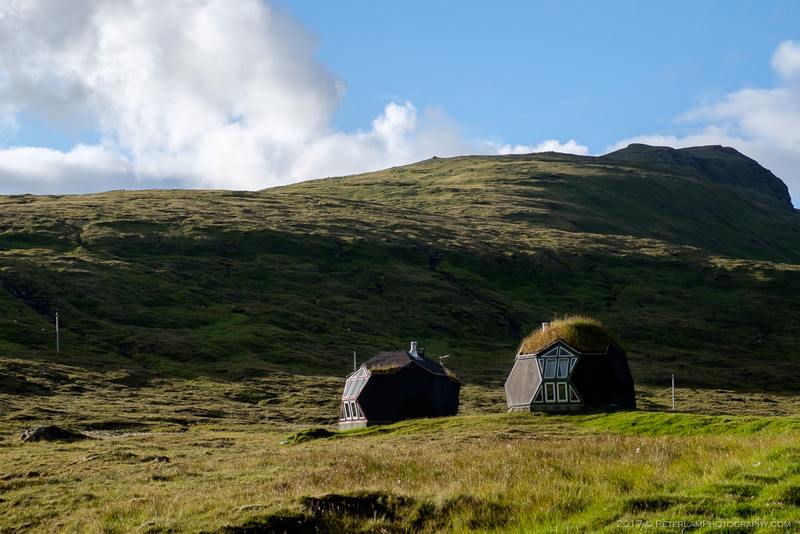 Near Vestmanna, a modern interpretation of the traditional Faroese cabin. Hi Jeff, I’m not absolutely sure which company it was, but it could have been this one. It was maybe 2.5 hours or so, just a trip out the coast and back. Enjoy your journey! 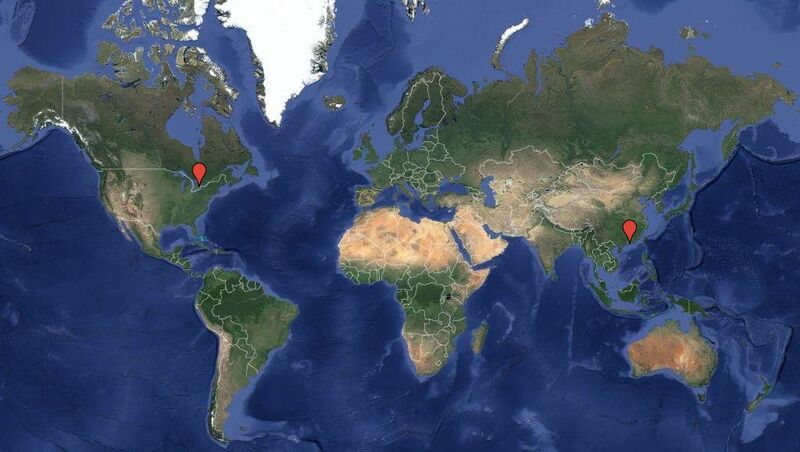 Interactive maps of Peter Lam Photography posts. © Peter Lam and Peter Lam Photography, 2013-2019. Unauthorized use and/or duplication of this material without express and written permission from this blog’s author and/or owner is strictly prohibited. Excerpts, images, and links may be used for personal and non-commercial use, provided that full and clear credit is given to Peter Lam and Peter Lam Photography with appropriate and specific direction to the original content. For commercial use of images, please feel free to contact me.